Guru Padmasambhava or Guru Rinpoche is known all over the Himalayan region as the Sage of Himalayas. He lived in the 8th century and is credited with having spread the message of Lord Buddha to the countries and regions located in the Himalayan belt, including India, Nepal, Pakistan, Bhutan, Bangladesh and Tibet. He is one of the most revered and iconic figures in the Buddhist world today and to many Buddhists, he is the Second Buddha. 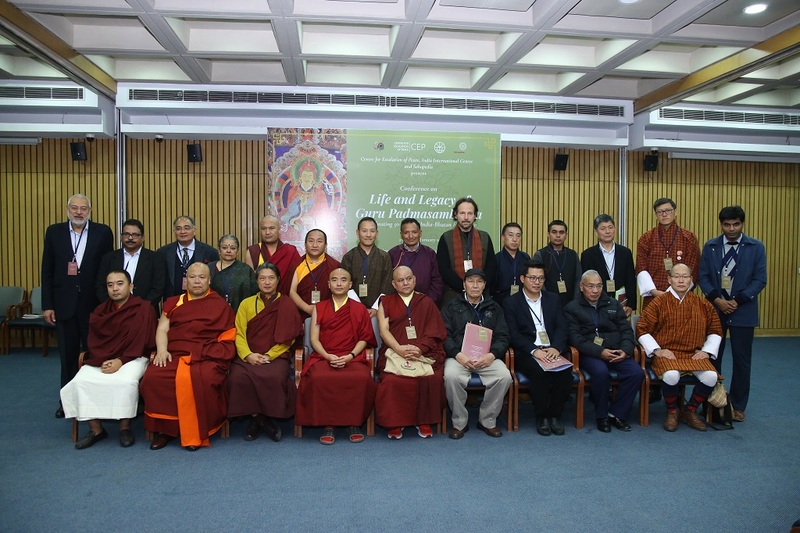 The Conference seeks to explore the life and legacy of Guru Padmasambhava in their various dimensions. More importantly, it focuses on the contemporary relevance of his teachings and the rich and diverse tradition associated with him. Guru Padmasambhava undertook many travels across Tibet, Nepal and Bhutan and the various Himalayan states of India. Each of these locations carry the imprint of the Guru Padmasambhava tradition in the form of monuments, relics and folklore associated with his spiritual and religious activities. What is of particular interest is that these various markers of the tradition display a rich diversity, whether in terms of the legends and mythology associated with him or the architectural and monumental relics that are still used to pay homage to him. This demonstrates the ability of the sage to contextualize and localize his message, taking into account the particularities of place and sensibilities of the people. While striving to spread the core tenets of Buddhism, he moulded his teachings in the local idiom and culture, making assimilation of the faith much easier. In retracing his life and times, we hope to gain insights into his approach to handling diverse cultures and religious traditions, using local symbols and even rituals as vehicles to transmit the sublime message of Lord Buddha.